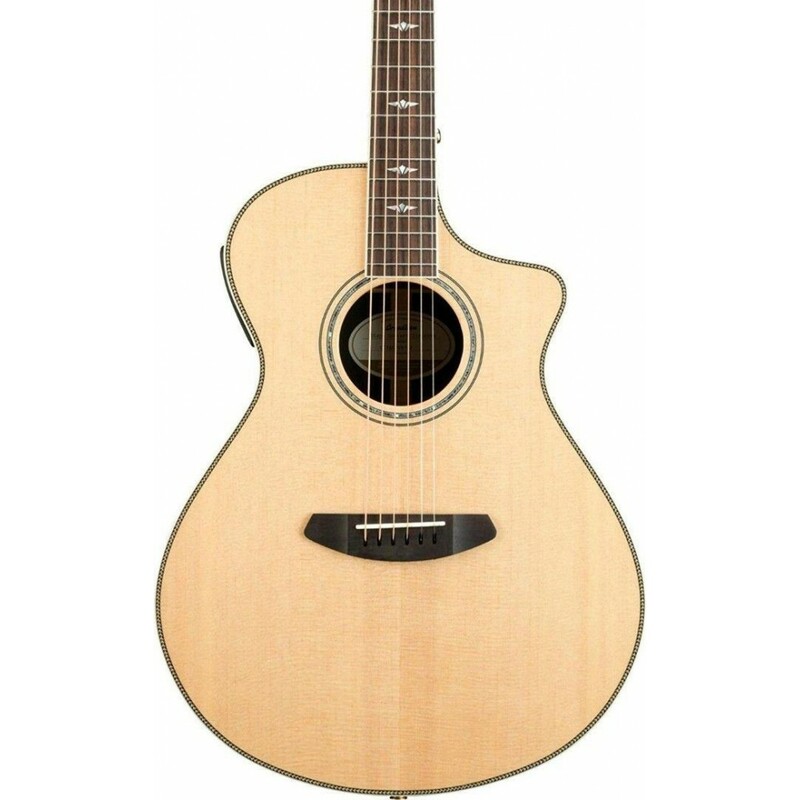 Stage Exotic Concert CE Sitka Spruce - Ziricote Acoustic-Electric Guitar Gloss Natural. 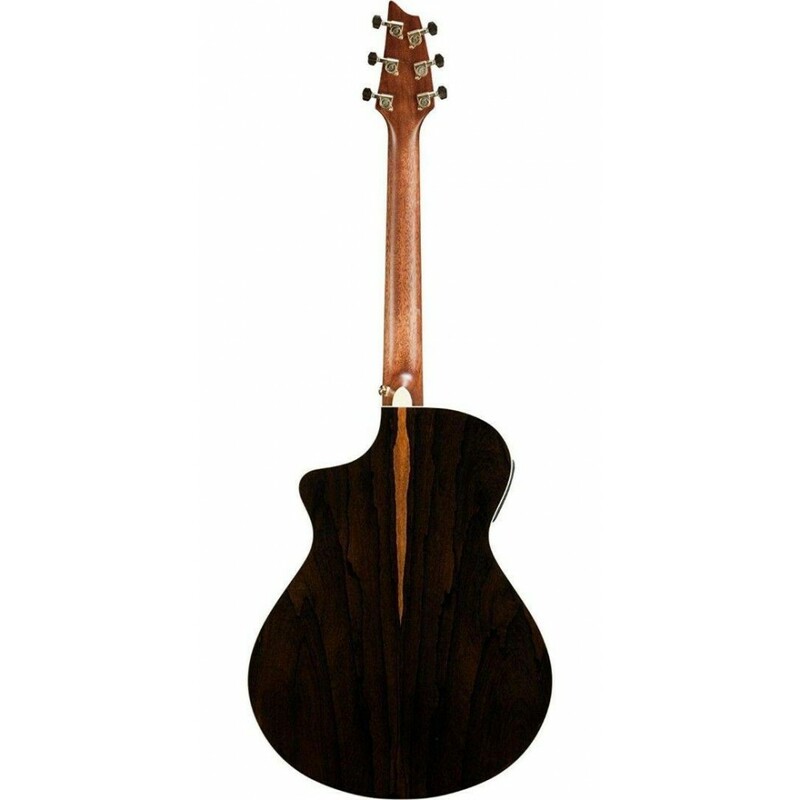 "Ziricote is similar to Brazilian rosewood in density and in appearance. 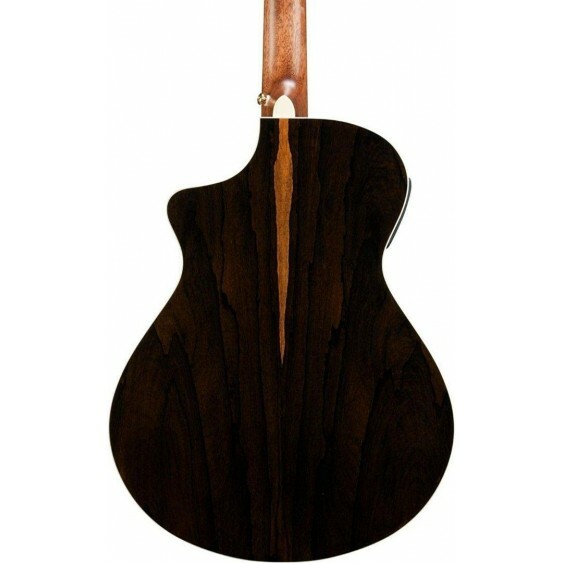 Highly figured cross-grain patterns give each instrument an intriguing appearance. 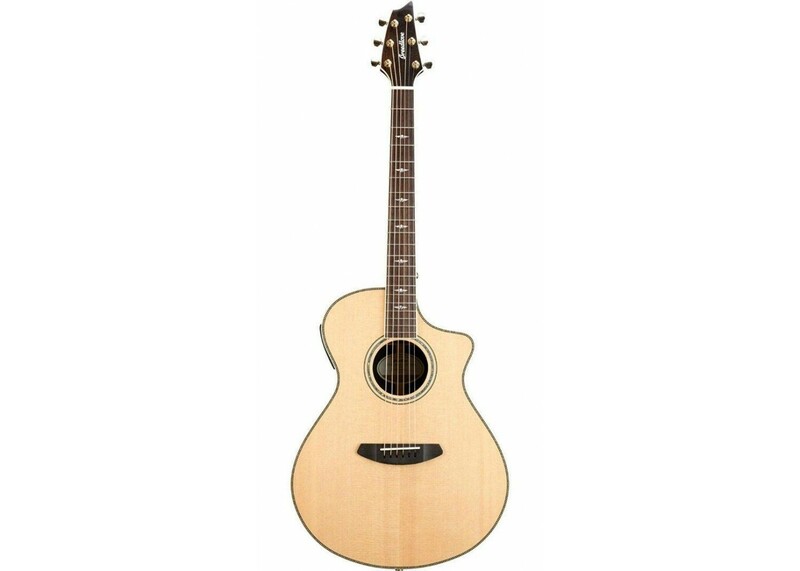 The attention to every detail in design a" body shape, bracing pattern, neck profile, herringbone purfling, and Breedlove Bridge Truss System a" results in an extraordinary stage ready instrument that will impress your audiences. Body Shape The Breedlove Concert is the original Breedlove shape. 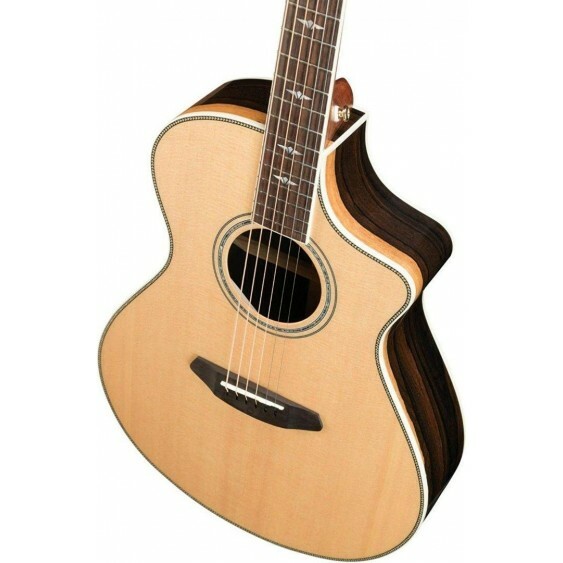 It first appeared in 1992, and has been the best- selling Breedlove body shape ever since. 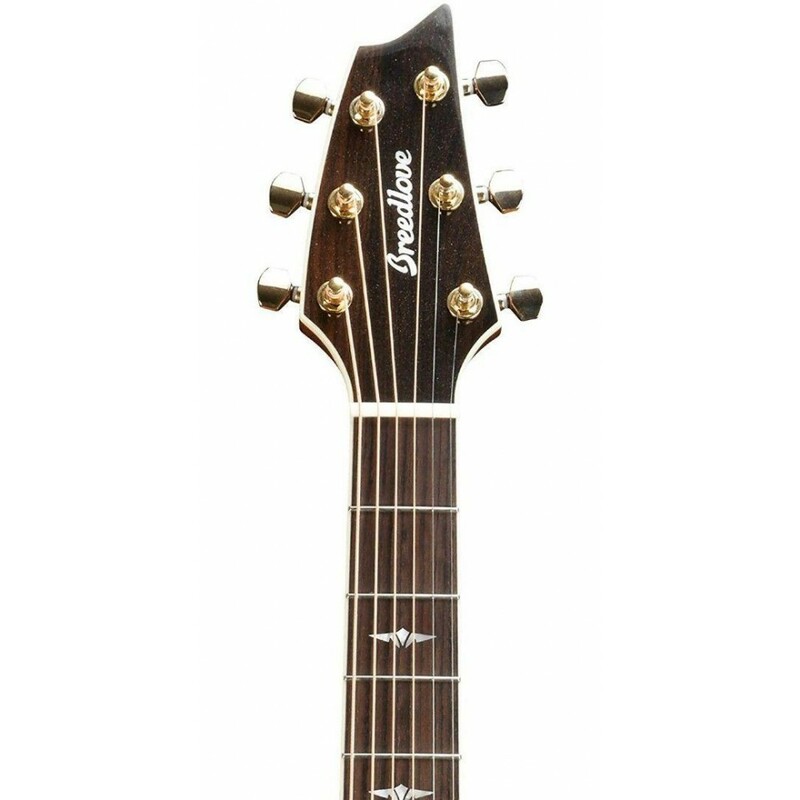 Designed specifically for the fingerstylist to be well balanced, compact, and comfortable to play, it generates a wonderfully articulate range of tone with an ample low end that is never boomy, but always felt. The unique construction also allows the Concert to sing even at a full strum. If youaTMre a fingerstylist, or are seeking an instrument to use as vocal accompaniment, this is the shape for you. The Concert is engineered to provide exceptional sustain with a pronounced bass response, both of which can be achieved with a light touch. 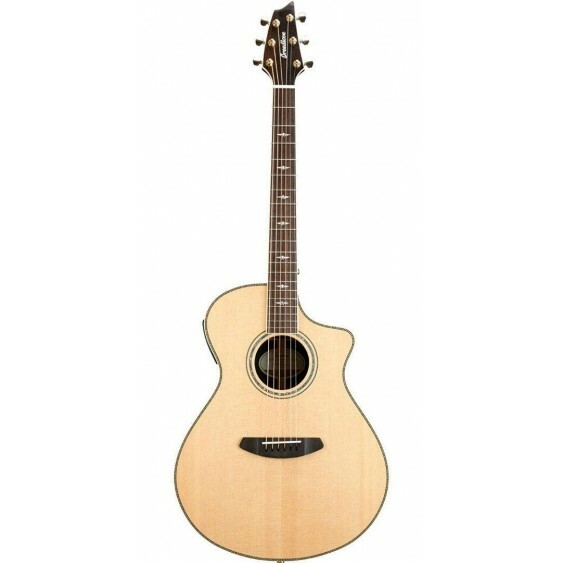 The graduated top works in harmony with the Breedlove Bridge Truss to provide an even response throughout the lows, mids, and highs, with sustain, and clear, concise, note-for-note projection. Breedlove Bridge Truss The Breedlove Bridge Truss (BBT) reduces tension on the soundboard of the guitar, so the top wood is able to vibrate more freely, producing remarkable sustain, balance, and clarity. The BBT also allows for a thinner graduated top, thereby allowing Breedlove craftsmen to bring out the optimal sound from the top wood without sacrificing structural stability. Relieving much of the string tension from the bridge prevents aoebridge belly,a ensuring top stability for decades. Guitar strings can exert up to 230 pounds of pull from the nut to the bridge.